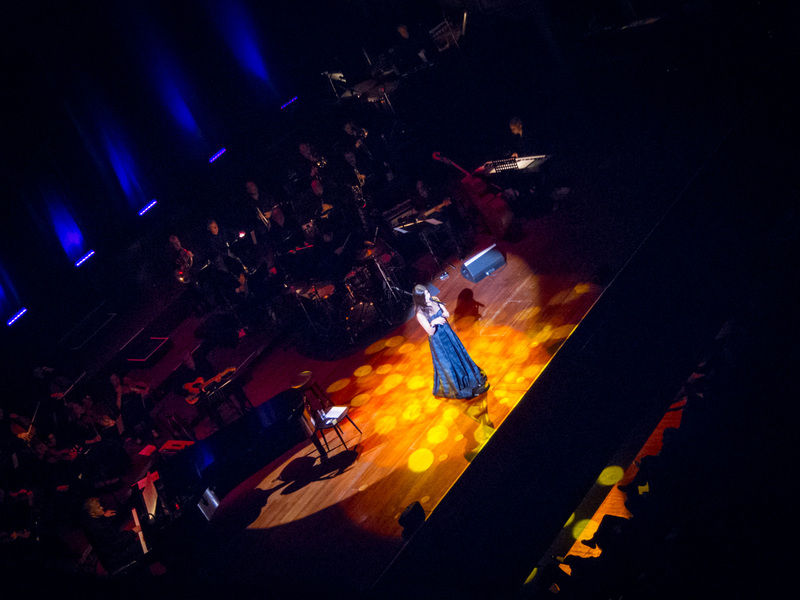 After a client me eting in Morecambe I got back to Edinburgh quick sharp as Ian and I had tix to see Idina Menzel in concert at the Usher Hall. What a legend Idina Menzel is, star of Broadway (and latterly the West End) and most famous for her roles in Rent and Wicked. I love Wicked, without wishing to get too mushy the story and the songs really speak to me. So it was very exciting to see the original Elpheba sing Elpheba’s songs. Oh yeah, and she’s in Glee too as the main character’s mother. Don’t forget Glee. The real highlight for me was of course Defying Gravity (I cried, that song makes me cry) but I also liked the other show tunes she did. Unsurprisingly for a Broadway star she has a really lovely voice for show tunes. Very clean and effortless and engaging. 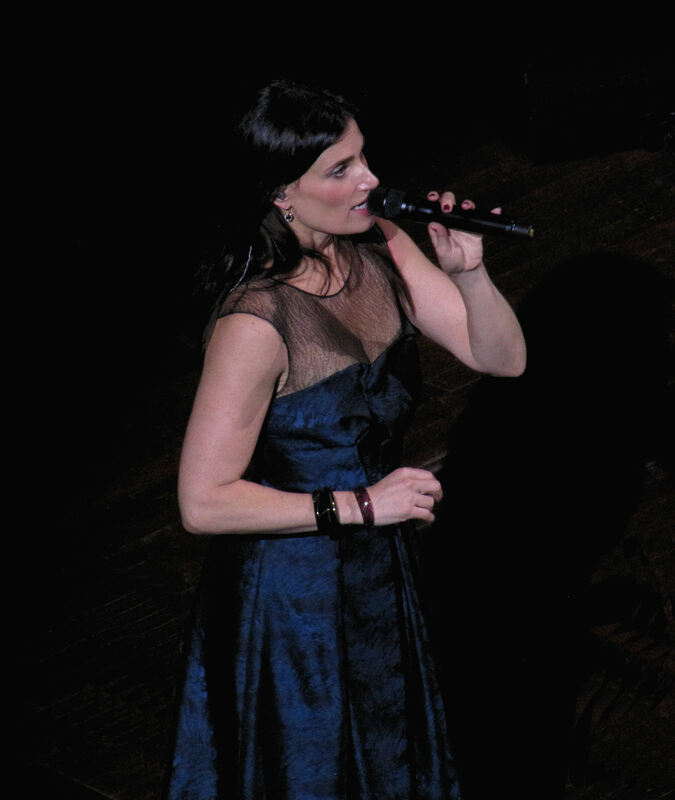 The concert was lovely though, Idina seemed so pleasant and amusing and the audience were very enthusiastic. More than that, actually, they were close to hysterical in their adoration in places. Muchos whooping and screaming and multiple standing ovations. I’d never really seen anything like it, it was like she had Justin Bieber standing behind her or something. Well as I say – legend. We were in the cheapiest of cheap seats and it all went down very well for us. Our pals were down in row E and they said that the sound wasn’t great. I didn’t really know anything about Idina Menzel other than having heard her on our CD of Wicked, so I didn’t really know what to expect. Her voice is excellent, and filled the Usher Hall even when she did one number without a microphone, and I really enjoyed her performances. Her little chats between songs were personable and charming. What I found really strange was just how obsessed much of the audience was with her – I’ve never seen this level of (creepy) adulation for a musical theatre star before. Some aspects of the evening were clearly set up with this audience in mind (like allowing a few people to sing with her) and weren’t so interesting for those of us who were more casual participants in the evening. However, she seems to know her audience and they love her, and that made for some great energy, and a great evening.